Save Additional $146.70 When Paying With Bank Wire. You pay $4,743.30. Manual-winding chronograph movement. Caliber 1861. 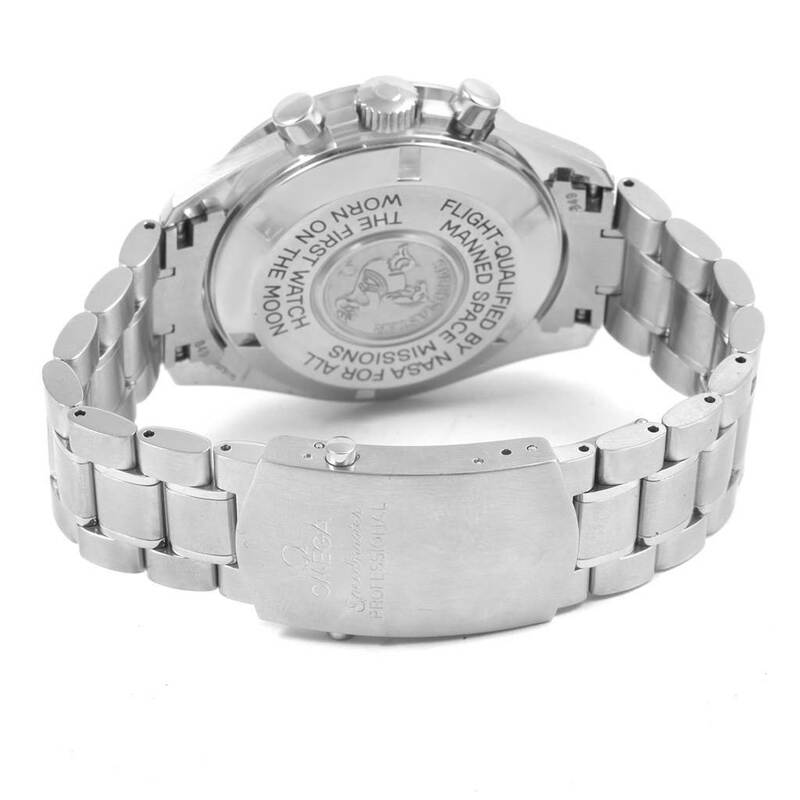 Stainless steel round case 42.0 mm in diameter. 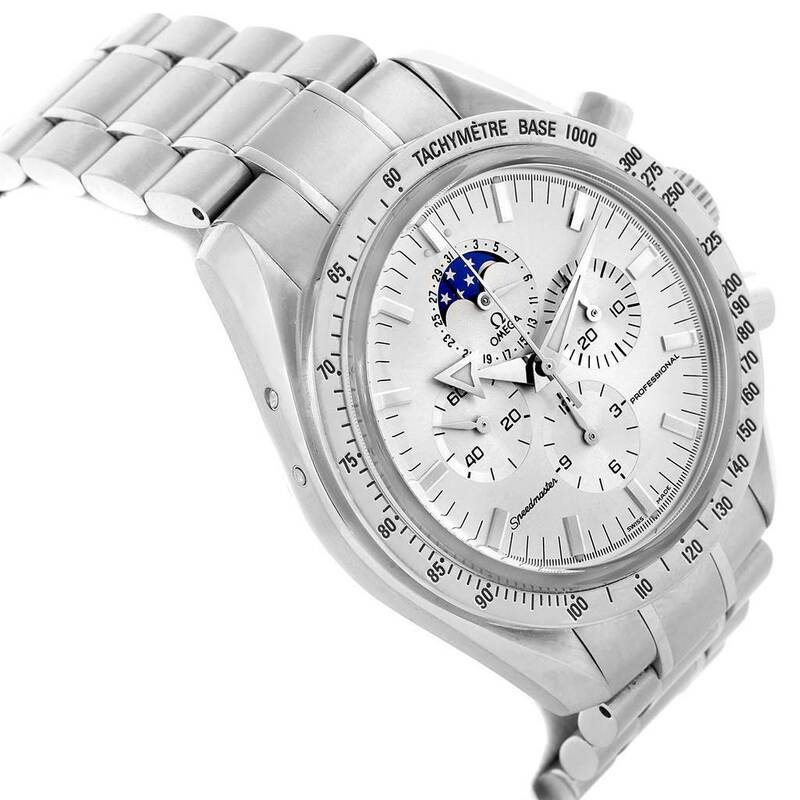 Silver dial with stainless steel indexes and hands. Center seconds, 30-minute counter at 3, 12-hour counter at 6, continuous small seconds at 9, Moonphase aperture and date subdial at 12. 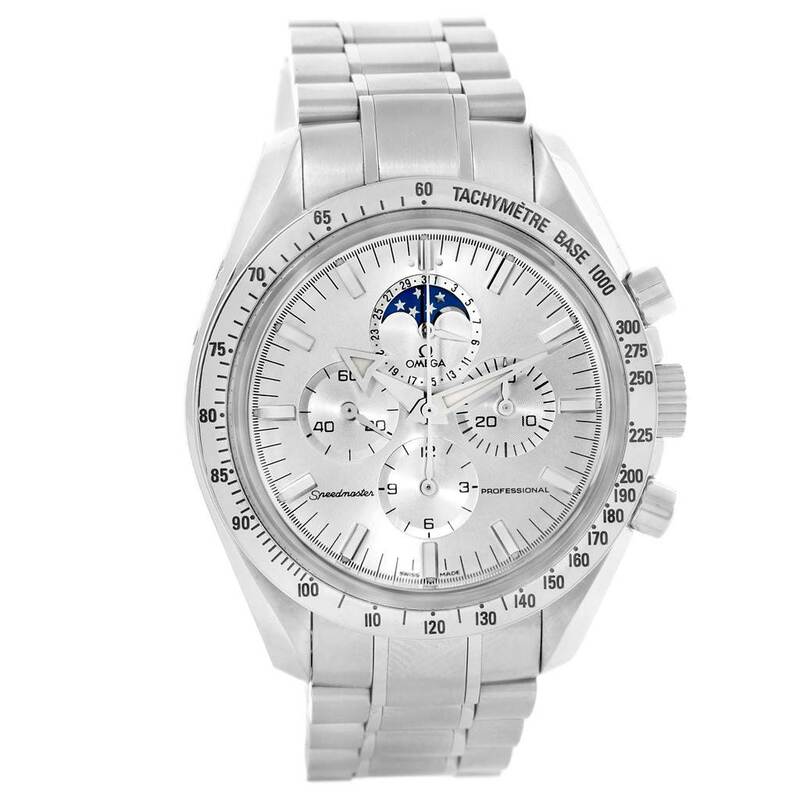 Omega Speedmaster MoonPhase Broad Arrow Mens Watch 3575.30.00. 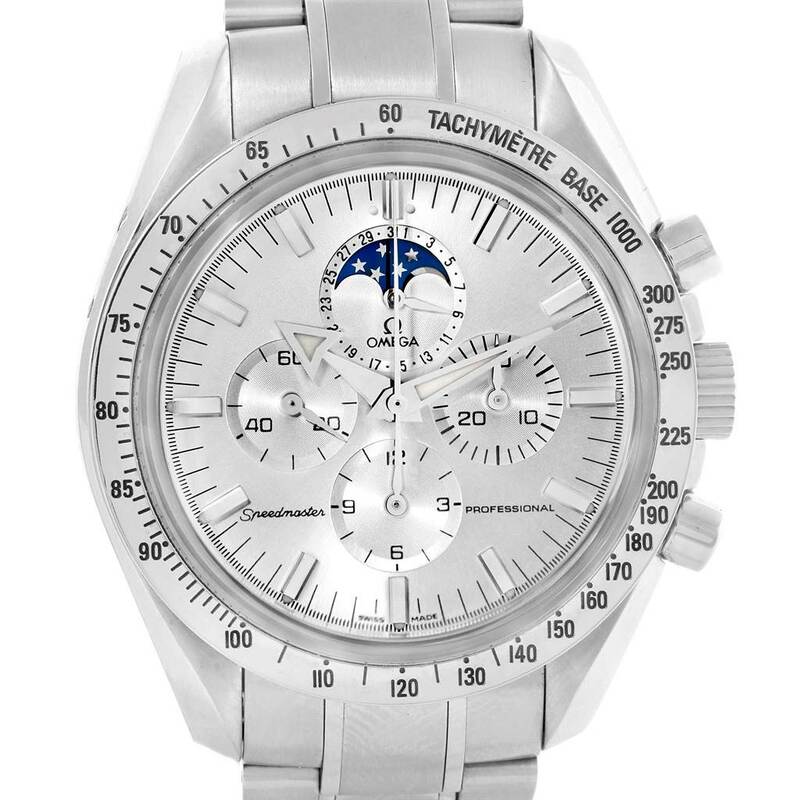 Manual-winding chronograph movement. Caliber 1861. 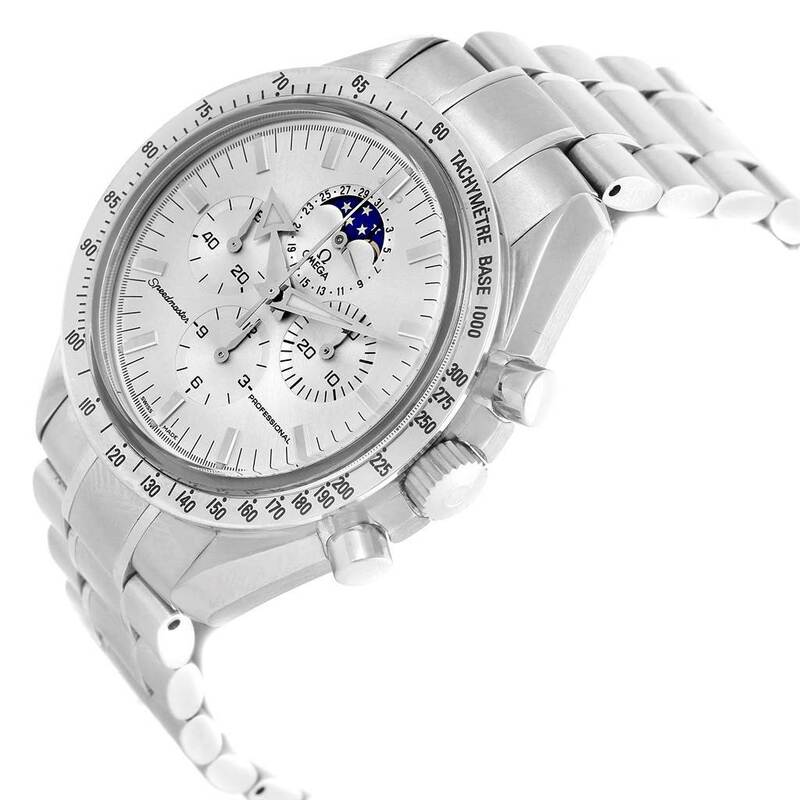 Stainless steel round case 42.0 mm in diameter. 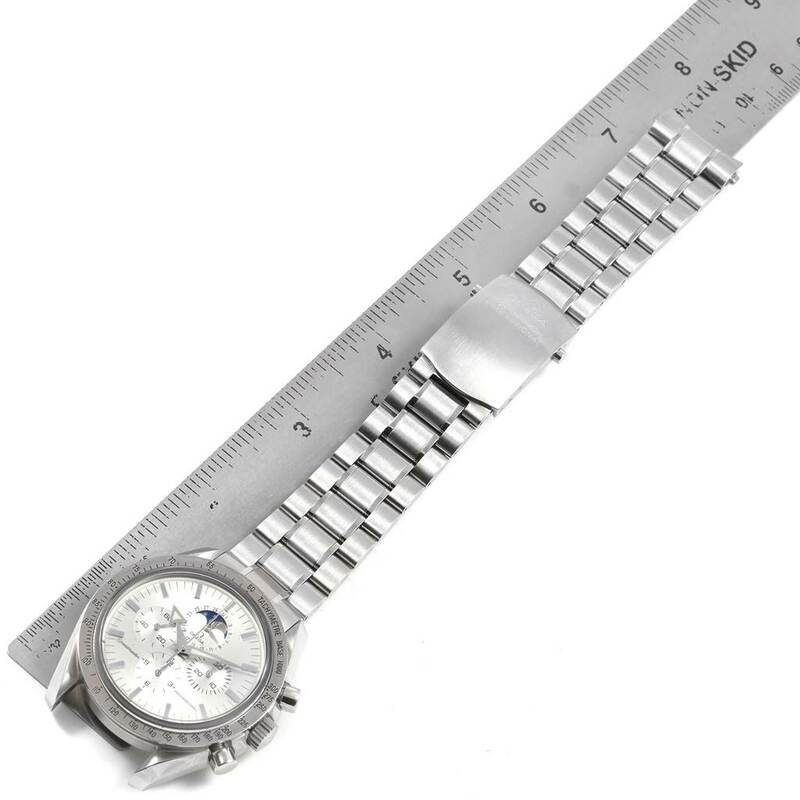 Fixed stainless steel bezel with tachymetre function. Scratch-resistant sapphire crystal with anti-reflective treatment inside. 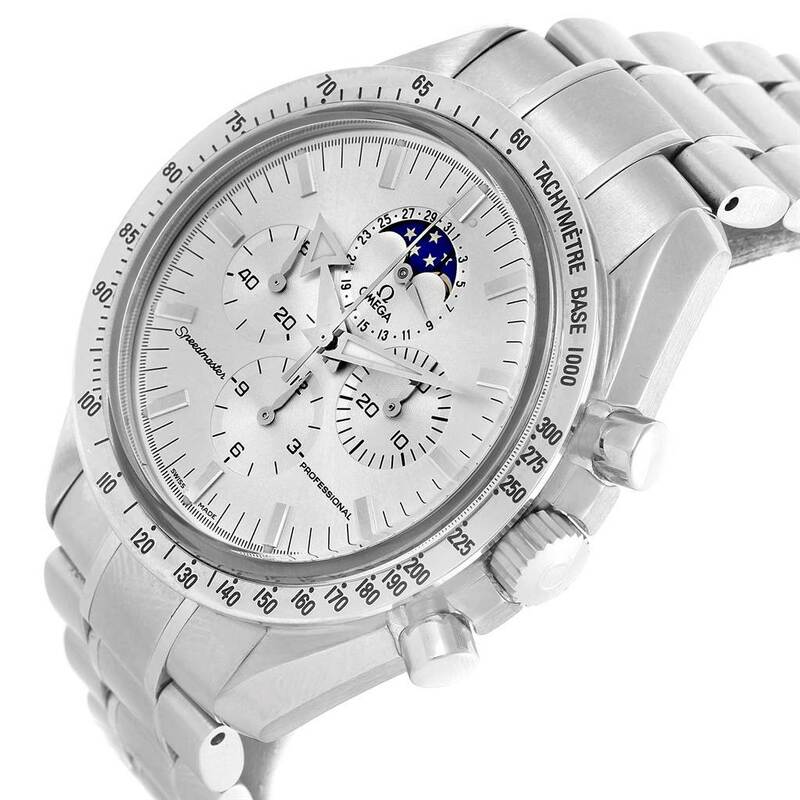 Silver dial with stainless steel indexes and hands. 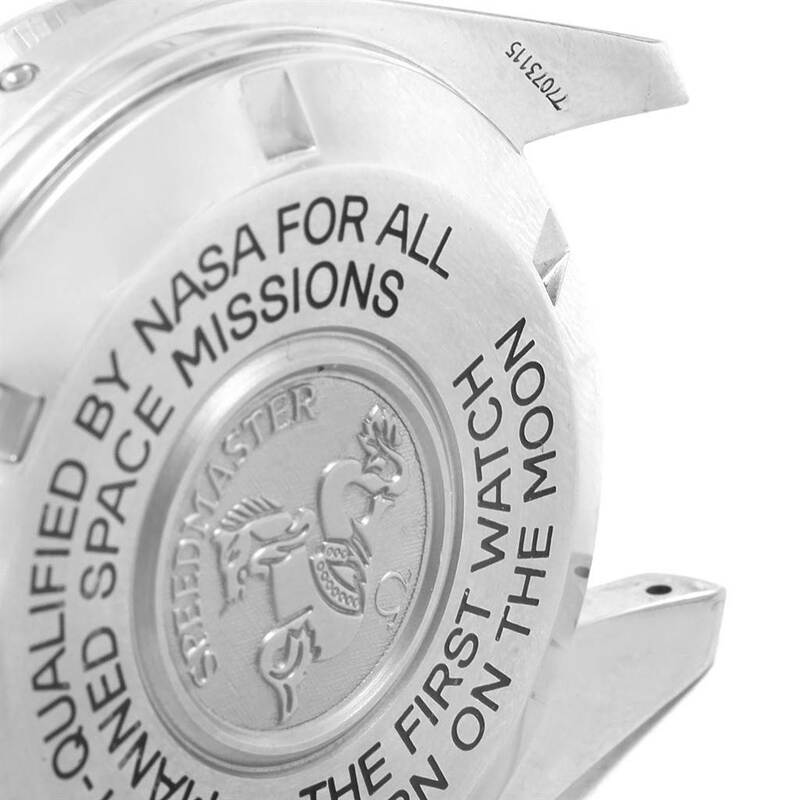 Center seconds, 30-minute counter at 3, 12-hour counter at 6, continuous small seconds at 9, Moonphase aperture and date subdial at 12. Brushed and polished stainless steel bracelet with deployent clasp. Fits 7 1/4" wrist.